HENDERSON, Nev. – When the Nevada Rural Housing Authority (NRHA) looked to open a satellite office in Southern Nevada, the challenges were overwhelming. They needed to find a location with a professional conference room and office staff, utilities and Internet. Instead of scrambling, and possibly ending up in a less than ideal permanent situation, the NRHA found the Henderson Business Resource Center (HBRC), a business incubator created by the Henderson Chamber of Commerce Foundation. 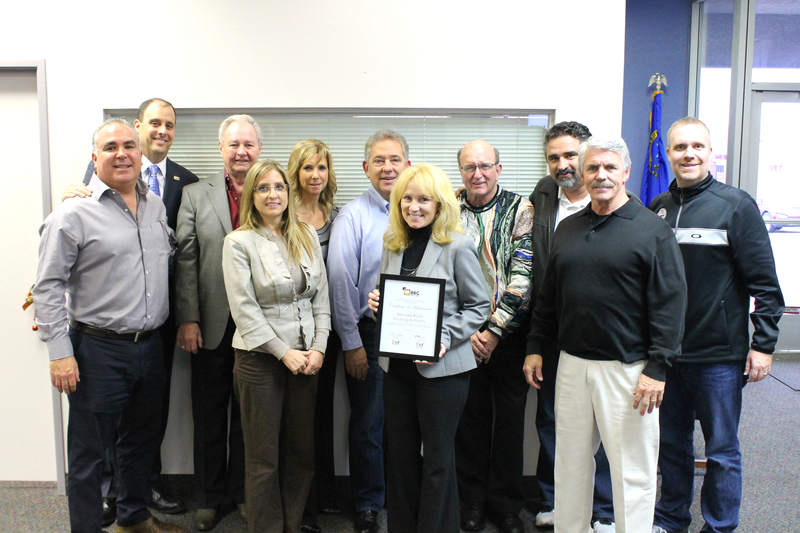 The NRHA graduated from the HBRC in November and moved into their permanent home at 1810 E. Sahara Ave. The HBRC provided an office space, operator assistance, conference room, utilities and Internet to help the organization get on its feet in Southern Nevada. It also provides entrepreneur training programs and one-on-one business counseling and networking. Businesses can take advantage of all or some of the services that best fit their needs. The NRHA provides down payment assistance and mortgage tax credits to homebuyers. So, it was important to find its niche. Scott Muelrath, president and CEO of the Henderson Chamber, said an 18-month tenure, which the NRHA completed – is ideal and allows a newly established business to implement its plan in a professional but low-cost business environment. In the past, the HBRC has helped businesses such as Imagine Communications, Desert Living HOA,American National Insurance (Gavin Walker Agency), David C. Eisenberg (Financial Consultant), K2 Energy Solutions, Nevada State High School, We The People, Creative Property Solutions get their starts in the Las Vegas Valley. For more information about the Henderson Business Resource Center, visit www.hendersonchamber.com.